I the undersigned want to make full disclosure of the true and full facts relating to the case of Hudabiya Paper Mills case wherein I have been cited as one of the accused person. My detailed statement of facts, circumstances and events etc leading to accumulation of Rs 642 million in the accounts of Hudabiya Paper Mills Ltd is enclosed herewith for your kind perusal and consideration. I have unburdened my concious and stated the true facts in the enclosed statement. It is therefore requested that I may please be granted pardon on the basis of this disclosure. I was born in a middle class family in 1950. I passed my intermdeiate in 1966 and then B.Com in 1970 after which I proceeded to UK to pass my Chartered Accountancy. During my stay in London I stayed with Masood Ahmed Kazi and his family in Ilford. In 1976 I proceeded to Libya where I worked as senior auditor. I was married in 1976. Financial status of mu in-laws was also that of middle class. In 1977 I came back to Pakistan and joined a Chartered Accountancy company. From 1982 to 1992, besides my job activities I remained actively associated with the activities of Institute of Chartered Accountants as well as Lahore Chamber of Commerce. In the year 1987-88 I was member of Finance and Taxation Committee of LCCI. Around same period Mian Shehbaz Sharif was President of LCCI. I pointed out serious weaknesses in the national budget announced by Junejo Govt for the year 1987-88 which resulted in revision of the budget. This gave me national recogonition. Next year I was again consulted and my suggestions were incorporated in the budget. In 1990, I planned to set up a Modaraba company in the name of First Hajvery and started completing its paperwork. The company was set up in 1991 with paid up capital of Rs 150 million. Within 6 monthswe succeeded in attracting customers like Sharif Group, Crecent Group and Saigol Group. My stay with the family of Masood Ahmed Qazi in London had been a pleasant one. They belonged to a middle class family and he used to treat me as one of his family members. The family comprised of Sikandra Masood Qazi (wife), Gohar Masood Qazi (son), Mazhar Masood Qazi (son), Kashif Masood Qazi (son) Talat Masood Qazi (son). As far as their financial status in the year 1992 is concerned, there was no significant improvement in their previous status of 1970s. The family offered tution services and some family members were running a garment store. Mian Nawaz Sharif was my batch mate at Govt College during 1964 to 66. However we had no intimacy at that time. As by the year 1990 I had not only succeeded in getting my professional skills recogonized but also was associated with activities of LCCI and Mian Shehbaz Sharif was former President of LCCI, we soon came closer. In December 1990, Qazi family was visiting Pakistan. As Mr Masood Qazi was interested in politics and used to introduce himself as a Muslim Leauger, I invited them to the annual function of LCCI which was to be chaired by Mian Nawaz Sharif, the then PM of Pakistan. In this function I introduced the Qazis to Mian Nawaz Sharif and Mian Shehbaz Sharif. provide foriegn currency funds as collateral. Subsequently he sent me photocopies of the passports of Mrs Sikandra Qazi, Nuzhat Qazi, Talat Qazi and Kashif Qazi. He asked me to open / open coreign currency accounts in their names in different banks with the foreign currency funds provided by the Sharif family and use these funds as collateral against credit facility to be availed by the different companies of Sharif group from my Modaraba and also directly from the banks as well. The need for opening of different accounts mainly arose due to per client lending ceiling, per deposit lending limit, bank’s overall credit ceiling and per borrower credit ceiling etc. I had reservations in opening / operating of these benamidar accounts but I was assured by Mian Nawaz Sharif that Qazis have agreed for use of their names and furthermore after the promulgation of Protection of Economic Reforms Act 1992 by his govt, all the foreign currency accounts had complete immunity against any inquiry or investigation by any department or agency. Resultantly I was asked by Mian Nawaz Sharif to open 4 benamidar accounts in the names of Sikandra Qazi, Talat Qazi, Nuzhat Qazi and Kashif Qazi. It was further decided that these accounts in the name of first two persons will be opened/ operated by me whereas the other two benaami accounts will be opened / operated by Naeem Mahmood, a Director of my Modaraba, under my supervision. Accordingly I opened two foreign currency accounts in the name of Sikandra and Talat Qazi with the foreign currency funds provided by Sharif family in the Bank of America by signing as Sikandra and Talat Qazi. All the instructions issued to the bank in the name of these persons were signed by me under the instructions received from the original depositors namely Mian Nawaz Sharif and Mian Shehbaz Sharif. Wheras the F.C Accounts of Nuzhat and Kashif Qazi were opened/ operated by Naeem Mahmood under my instructions ( based on instructions of Sharifs) by signing the same as Nuzhat Qazi and Kashif Qazi. Besides these four F.C accounts, the previously opened F.C Account of Saeed Ahmed, a former Director of First Hajvery Modarba and a close friend of mine, and of Musa Ghani ( nephew of my wife) were also used to deposit huge foreign currency funds provided by the Sharif family to offer them as collateral to obtain different direct / indirect credit lines. It is pertinent to mention that all the instructions regarding the deposits of the Sharif family in the account of Saeed Ahmed were got executed from Mr Saeed Ahmed at the relevant time. However in order to operate the deposits in the account of Musa Ghani, I signed few instructions in the name of Musa Ghani. The credit lines obtained by First Hajvery Modarba against these foreign currency funds of Sharif family offered as collateral were given to Sharif Group companies in Pak Rupees at cost plus small charge to cover the administrative expenses of the Hajvery modarba. The Sharif Group companies utilized full credit lines against these foreign currency collateral directly from the banks or by indirectly obtaining credit lines in Pak Rupees in the name of Hajvery modaraba, Sikandra Qazi, Hajvery Holdings, myself and Musa Ghani etc. All the credit lines in these names were ultimately passed on to the Sharif Group companies. Different other accounts were also opened / operated by me and Naeem Mahmood in the same manner in the names of Qazis as explained above in City Bank, Emirates Bank, Atlas Investment Bank and Al Towfeeq Investment Bank etc under the instructions of Sharif family. In the last quarter of 1993, Bank of America faced credit ceiling problem and thus it arranged the transfer of these credit facilities / collateral to the Al Faiysal Investment Bank with the approval of Sharif family. All the instructions regarding the operation of F.C account of Talat Qazi were executed /supplied by me to the Al Faysal Bank. Regarding the operation of the F.C accounts of Kashif Qazi and Nuzhat Qazi at Al Faysal were executed by Naeem Mahmood under my instructions. In early 1998, Mian Shehbaz Sharif called a meeting at his residence which was attended by Kamal Qureshi, both Pashas and other relevant staff. I was also asked by him to participate. Mian Shehbaz Sharif told us that due to scandalization of Qazis accounts by the press, his family has decided to liquidate all the F.C funds in these accounts and bring the same back in the account of Hudabiya Paper Mills Limited as Share Deposit Money from a lady of middle east and use it to pay off all loans of Sharif Group. 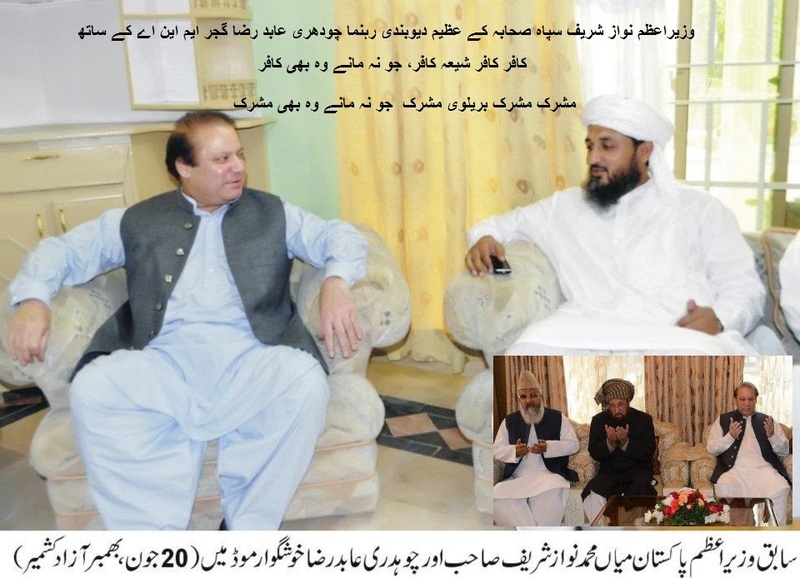 He gave directions to Kamal Qureshi to take all necessary steps to carry out this plan. 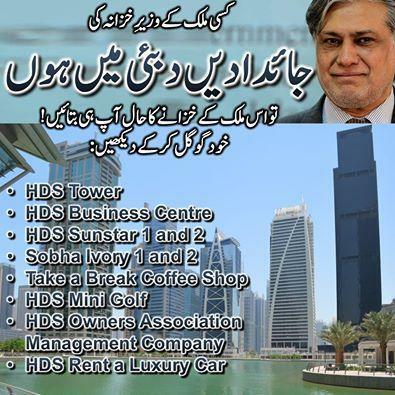 I was asked to provide Kamal Qureshi necessary instructions for banks to get the funds in these accounts encashed. Mian Shehbaz Sharif subsequently sent a photocopy of passport of that lady which disclosed her name as Siddiqa Hashim Khadim, to me and sending the same to Kamal Qureshi for necessary action as per his directions. I handed over the same to Naeem Mahmood and also briefed him about the instructions I received from Mian Shehbaz Sharif. I asked him to contact Emirates Bank and to obtain the latest position of the loans directly / indirectly obtained from the bank by Sharif Group against the F.C funds deposited by them in the account of Mr Saeed Ahmed. I further asked him to make liaison with Kamal Qureshi for this purpose. Naeem Mahmood subsequently told me that a sum of U.S $ 3.725 million of Sharif family was existing in the account of Saeed Ahmed in Emirates Bank. He further informed me about the arrangements Kamal Qureshi was carrying out regarding the encashment of this amount according to which, with the help of bank manager, services of a money changer to provide remittances equivalent to these F.C funds from abroad as Share Deposit Money from Siddiqa Hashim Khadim, from his own sources into the accounts of Hudabiya Paper Mills were to be acquired and the proceeds of these remittances were to be transferred to accounts of First Hajvery Modarba by borrower company for settlement of loan facilities of Sharif group companies. Subsequently the dollars in the account of Saeed Ahmed held as collateral were to be released by the bank for onward delivery to the money changer / broker. He further informed me that in March/ April 1998, a sum of US $ 3.725 million was received in the form of telegraphic transfer in the account of Hudabiya Paper Mills and equivalent foreign currency funds were got released by the Sharif family from the account of Saeed Ahmed for delivery to the broker. Similarly the deposits in the accounts of Qazi family at Al Faysal bank was also to be off loaded by unwinding the transactions in the same manner as was done at Emirates Bank. Following the directions of Mian Shehbaz Sharif, Kamal Qureshi approached the bank in Karachi for making necessary arrangement whereby the deposits kept in the name of Qazi family was also to be substituted and a new name that of Siddiqa Hashim Khadim was to be introduced and shown as equity investment ( share deposit money) in Hudaibiya Paper mills limited. However, out of the said amount of $8.539 million only $2.95 million could be routed in this manner by Sharif family through Kamal Qureshi from al Faysal Bank. Thereafter F.C accounts were frozen by the Govt. Before the encashment of entire collateral could be completed, in May 1998 Pakistan’s first nuclear tests took place and foreign currency funds were frozen by the Govt. Resultantly the previous plan of Sharif family could not be 100 percent executed. In June 1998, Mian Shehbaz Sharif informed me that accounts in the name of Qazis amounting to $ 2.967 million and $ 2.622 million should be got converted into Pak Rupees and deposited in the account of Hudabiya Papers as Share Deposit Money from Qazis. I and Naeem Mahmood prepared necessary instructions for the banks in this behalf. Kamal Qureshi then arranged for such frozen amounts with Citibank and Al Faysal Bank to be encashed in the name of the Qazis and at a final rate of Rs 46 per and the sum of US $ 6.91 million equivalent to Pak Rs 318 million was transferred to the account of Hudabiya Papers as Share Deposit Money from Qazis. Although the foreign currency collateral accounts were arranged by me and Naeem Mahmood as per instructions of Shahbaz Sharif for above explained facilities, the fullest involvement of the directors, management and staff of Sharif group companies had always been there as it were they who opened in all the lending financial institutions, the bank accounts of various companies of Sharif group, in whose names Pak Rupees credit lines were obtained and who also completed all the legal requirements of the banks and of Company Law in this regard. 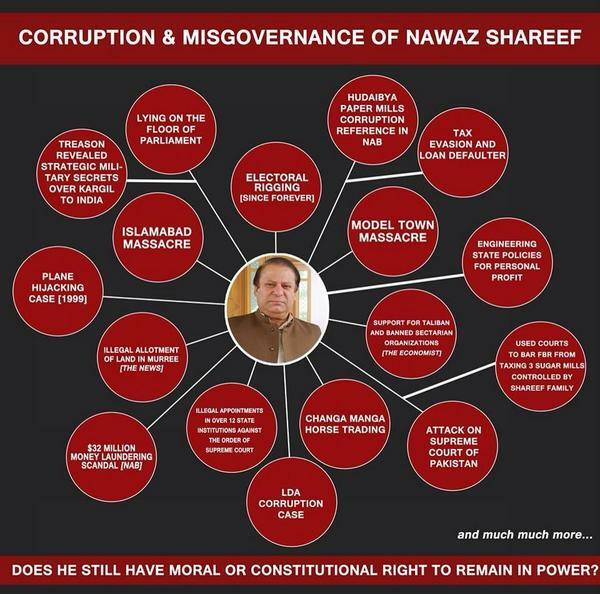 The entire chain of transactions, starting from the deposits of foreign currency collateral, obtaining credit lines, loans for Sharif group companies including Hajvery Modarba, encashment of entire collateral in 1998 and deposit of same in Hudabiya Paper Mills as Share Deposit Money in names of Sidiiqa Hashim Khadim and Qazi family and ultimately using such Share Deposit Money to pay off the liabilities of Sharif Group companies, clearly establish the fact that all these foreign currency funds exclusively belonged to Sharif family who were the sole beneficiary of the entire arrangement and being difficult for them to account for the same, they had made all this arrangement as they could not have explained the source of these funds which ultimately landed in one of their companies. It is assured that I have made full disclosure of all the facts in the preceding paras pin-pointing the money laundering of the Sharif family and my role therein. In proof thereof you may obtain specimen of signatures of mine and that of Naeem Mahmood to get the veracity of my statement regarding the operation of the accounts of Qazi family testified from a Hand Writing Expert. I solemnly declare that I have never obtained any illegal personal benefit out of these funds and the money was / is owned by the Sharif family. From the Zionism’s earliest days in the late 1800s until the present, Israel’s battle has always been about land, but for some the issue goes much deeper—literally. What is underground is as valuable as what is above ground, and the battle has been raging for years. The battle is over ancient artifacts, from Jerusalem to Gaza to Qumran. The “Jewish State” prioritizes anything that might boost its legitimacy as rightful owner of Holy Land real estate, and has appropriated the science of archeology to help create its narrative. The goal is to highlight the ancient Jewish presence and discount all other communities. whether historic or current. The Israeli narrative assumes, for example, that Christians may have been present for a short time, but only as visitors, leaving virtually no trace; the same goes for any Muslim presence. In order to back up this version of history, Israel has found it necessary to destroy villages, demolish ancient sites, appropriate historic areas, rewrite textbooks, redraw boundary lines, and more. With the illusion of an ongoing, dominant Jewish presence, Israel can assert that it is simply “re-claiming” what is rightfully theirs, instead of taking what belongs to others. It is no surprise that Israel/Palestine is an archeological gold mine: ancient trade routes crisscrossed the region; it was the historic home of the Philistines and Crusaders; a stone’s throw from the early civilizations of Egypt, Mesopotamia, and Phoenicia; part of the Roman, Greek, Persian, and Ottoman empires, to name a few; and the dwelling place of Jews, Christians, and Muslims. In fact, Palestine is home to the oldest archeological organization in the world, the Palestine Exploration Fund, founded in 1865. Here excavators have feasted on a dizzying array of strata, ranging from Upper Paleolithic (about 40,000 BC) to late Ottoman (19th century AD), and everything in between; their findings have led to the advancement of the science of archeology itself. No wonder archeologists from around the world have been assembling for at least a century and a half to unearth and study Palestine’s ancient cultural riches. When Israel created itself in 1948—and even before this date—the “Jewish State” worked to take control of archaeology, and thus, of the region’s history. It toiled to erase footprints of the numerous civilizations that had preceded the Jewish presence, as well as the peoples that have come afterward. The Israeli narrative pushes the window open a few hundred years more: history (at least, relevant history) supposedly “started with King David and ended with the destruction of the second temple [70 A.D.], restarting with Jewish settlement in the nineteenth century.” Some Greek and Roman presence and a “smattering of early Christianity” are tolerable. But ancient Philistines, Arabs, and Muslims are never acknowledged as part of the region’s history. They would impinge upon Jewish interests. The official explanation, according to an introductory film that is shown to tour groups in Jerusalem, is simply, “For two thousand years, the city passed from hand to hand.” The “righteous return” and the settler agenda are the only account to which visitors are exposed. On Palestine, there is only silence. As Israeli author and activist Uri Avnery reminds us, the Zionist claim to the land of Palestine, based as it was on the Biblical history of the Israelites, requires proving that the Bible is true. Almost all of the founders of Israel were professing atheists, but they gritted their teeth and gave their orders. Speaking at Fort Myer last week, the president promised that “American strategy in Afghanistan and South Asia will change dramatically.” In Afghanistan, it is unlikely to. In South Asia, it already has – in deep but disturbing ways and mostly because of what President Donald Trump had to say about Pakistan. Here’s how the stakes, consequences and options for each of the major players in South Asia have been transformed. The speech left Pakistan hurt and angry. The country’s foreign minister, Khawaja Asif, was livid at President Trump’s threatening tone and words, claiming that his country’s “sacrifices” as an American coalition partner were “disregarded and disrespected.” Pakistan’s National Security Council (NSC), which includes both the prime minister and the military chief, echoed the consensus in Pakistan that both Washington, D.C. and Kabul are bent on “scapegoating” Pakistan for their own failures. 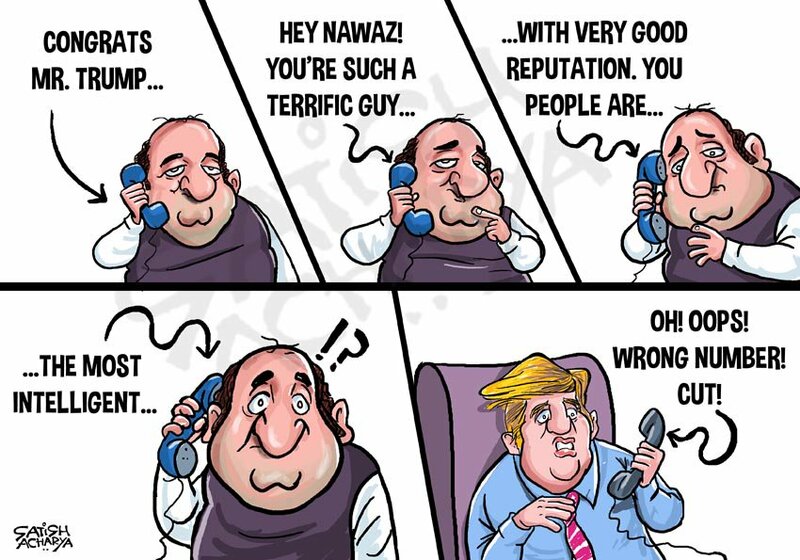 Remarkably for Pakistan, President Trump seems to have united a deeply divided country. Government, opposition, military and civil society are all equally offended. All point out how Pakistan itself has had to spend many times more of its own resources in fighting America’s war than whatever America may have provided: 70,000 casualties, 17,000 Pakistanis killed; a nation living in constant fear of Taliban terrorism; an economy devastated to the tune of over $100 billion. Of course, American allegations that Taliban encampments exist in Pakistan are not new. But President Trump has refused to recognize that Pakistan’s struggles to eliminate them are no less challenging than Afghanistan’s or America’s efforts within Afghanistan. This has been seen as particularly disingenuous. Given the timing, tone and especially the fawning overtures toward India, Pakistanis read President Trump’s speech as the newest episode of abandonment from the nation’s longest but most fickle ally. Privately, Pakistan and the United States have each long considered the other to be equally unreliable. With President Trump signaling that America will now look elsewhere, Pakistan feels compelled to do the same. Both China and Russia have been quick to exploit the chasm, advancing their own deep interests not only in Afghanistan but in greater South Asia. Even before Pakistan had made any response to President Trump’s speech, the Chinese, already wildly popular in Pakistan for investing heavily in its infrastructure, responded with an official statement calling Pakistan an “all-weather friend” and thanking it for its “great sacrifices” in the fight against terrorism. In Pakistan, such statements and the speed with which they came have been viewed as evidence that Pakistan does have choices, i.e., it may be time for Pakistan to move out of the U.S. orbit and seek deeper alliances elsewhere. Pakistan’s foreign minister, for example, immediately postponed his planned visit to Washington. This is not simply to register displeasure, but to gain time to visit other capitals and explore alternative options. India’s initial reaction, not surprisingly, was to gloat. Its narrative about Pakistan was thoroughly embraced in President Trump’s speech. However, this is a gift horse they are likely to examine more carefully. Being anointed America’s sheriff in South Asia brings with it a new stress to their already-strained relations with China. It is inevitable for tension to grow between these two Asian behemoths, but India would clearly have preferred to plan out the timing and terms of the escalation itself. President Trump’s message to India that it “makes billions of dollars in trade with the United States, and we want them to help us more with Afghanistan,” is likely to be met with nothing more than a polite smile from New Delhi. There is certainly no likely relieffor the American taxpayer in how much they have to pay to keep dysfunctional governments in Kabul in place even while 40 percent of Afghanistan remains under Taliban control. But the biggest consequence of President Trump’s South Asia strategy is that it gives India a license to elevate a new proxy conflict with Pakistan in Afghanistan. Pakistan is clearly terrified of being trapped in a pincer squeeze on its eastern and western borders by its arch nemesis, India. Therein lies what is truly new and frightening in Donald Trump’s South Asia strategy. For the entirety of the last seven decades – including throughout the Cold War, when India was firmly ensconced as a Soviet ally – the American goal in South Asia was, above all, to maintain regional stability. The aim was to avoid and to actively resist tensions in a region that was a powder keg well before India decided to go rogue with nuclear weapons, and Pakistan followed suit. As of last week, the new American policy is to pit neighbor against neighbor in South Asia. One day, one hopes, someone will explain to President Trump, like Chinese President Xi Jinping did about why North Korea is “complicated,” why the India-Pakistan relationship really is as fraught with danger as it is. Meanwhile, an abdication of America’s traditional stabilizing role in South Asia has been announced. Afghanistan that will get kicked around the most, as five of the six largest militaries in the world (China, India, the United States, Russia and Pakistan), all nuclear, jockey for advantage in whatever the new South Asian balance of alliances might become. Let us all hope that the unimaginable remains unimagined. Adil Najam is the founding dean of the Frederick S. Pardee School of Global Studies at Boston University.